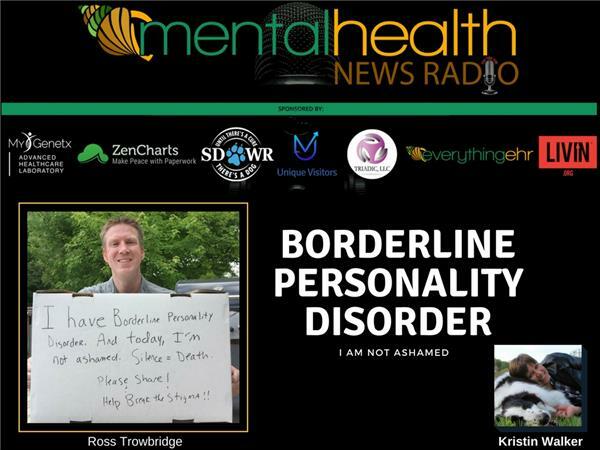 Ross Trowbridge joins our host Kristin Sunanta Walker to discuss Borderline Personality Disorder and #Project I Am Not Ashamed. Ross Trowbridge has Borderline Personality Disorder and is not ashamed. Having mental illness most of his life, he speaks publicly about his struggles and successes through blogs, podcasts and the media to keep the conversation going about mental illness. His goal is to educate and inspire others and help stop the mental health stigma, one person at a time. You can follow Ross on Twitter @bpdinwaterloo or email him atborderlineinwaterloo@gmail.com.